We are joining with the Bacchus Marsh Flower and Garden Show and opening our Cottage garden on Sunday, 29th October 2017 between 10.00 am and 4.00 pm. Please join us in our little garden. 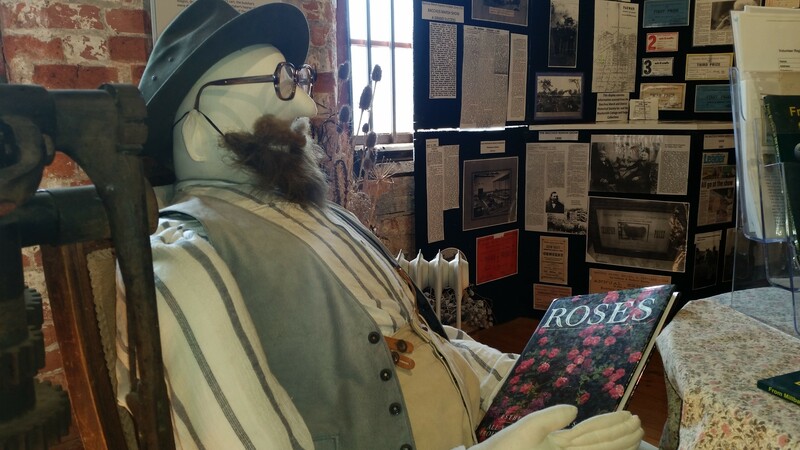 Inside the Cottage, embroidered floral pieces will be on display, while in the Bookbarn (the Forge next door) you will see a printed history of the Bacchus Marsh Horticultural and Agricultural Show dating from 1867. 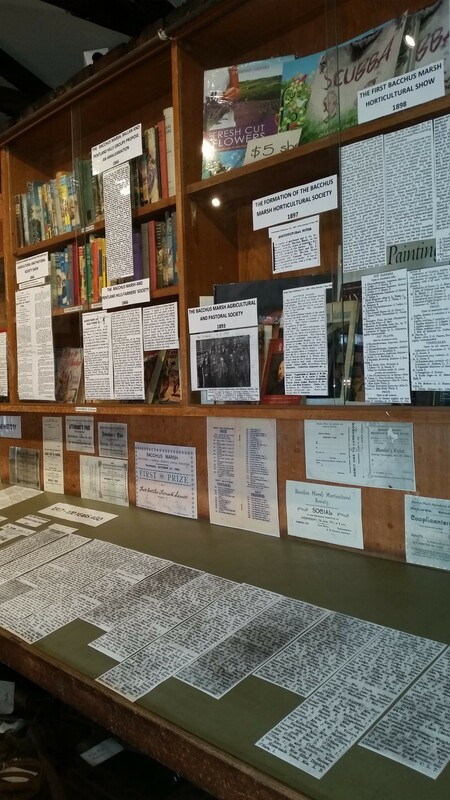 Plenty of news articles to create the history for you as well as entry tickets and prize certificates over the years. 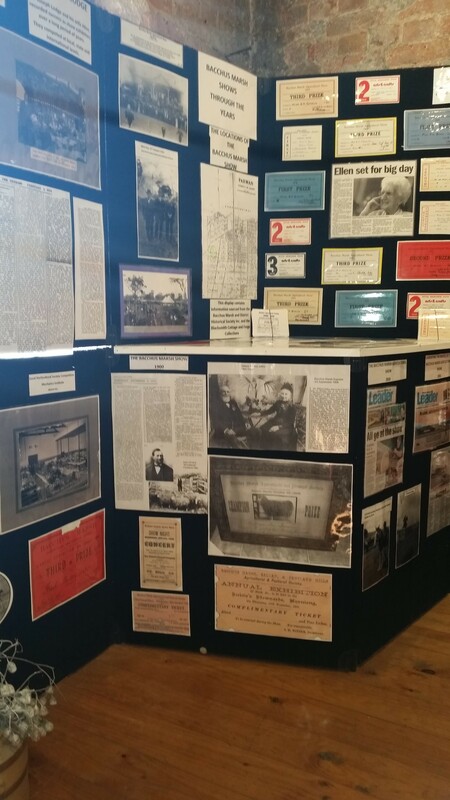 We thank our friends at the Bacchus Marsh Historical Society for their assistance in the making of our display. History of old horticultural displays. Tommy has been reading up on gardening. Historical display of horticultural shows.